Dena Davis has worked professionally as a Children’s Theatre Director, Educator and an Actress for over 20 years. She trained in theatre at the California Institute of the Arts (BFA), and at the Royal Scottish Academy of Music and Drama (MFA). As an actress, Dena has appeared in plays all over the UK and Europe, including the London West End’s Apollo Theatre where she was part of the original cast of Ben Elton’s West End production of Popcorn, (Olivier Award winner: Best Comedy in 1998). She also appeared in various television productions, including Grange Hill, and the classic British series Jeeves and Wooster with Stephen Fry and Hugh Laurie. 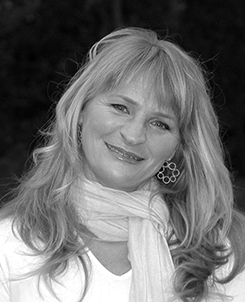 Dena was the Co-Founder and Managing Director of the AFK School of Dance and Drama based in Wimbledon, England, is a qualified LAMDA exam coach (London Academy of Music and Drama), and was also Theatre Director at the Coventry Preparatory School in England. 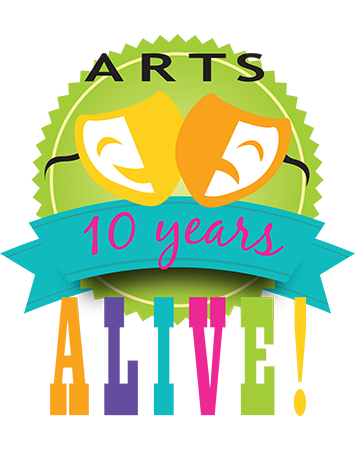 As of 2016, Dena has directed over 18 plays in the Barrington School District through Arts Alive! 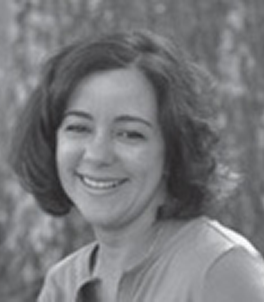 After attending The University of Colorado, Boulder, Kimberly worked as a Costume Supervisor in Los Angeles for 15 years in Film and Television. She is a member of the Los Angeles Local 705, and also a member of the New England Local 481. Kimberly worked with many studios including Sony, Warner Bros., Disney, HBO and Universal. Some of her credits include Lethal Weapon 4, Conspiracy Theory, Payback, While You Were Sleeping, Phenomenon, The Bodyguard, Primal Fear, and Wayne’s World. In recent years, she worked on Woody Allen’s Irrational Man and the Oscar–nominated films The Town and American Hustle. Most recently, Kimberly worked on the film November Criminals as well as the horror film The Purge. Kimberly is also a former tap dancing teacher. In 2009, Kimberly joined forces with Dena Davis and co-directed The Wizard of Oz at Nayatt School, which eventually led to the founding of Arts Alive!. This partnership has blossomed over the productions of Willy Wonka, Kids, Peter Pan, Bugsy Malone, Jr., Aladdin, Broadway Rules, Pinocchio, High School Musical, Jr., The Aristocats, Kids, The Wizard of Oz, Into the Woods, Jr., Seussical, Jr., 101 Dalmatians, Little Mermaid and Shrek. It has always been a dream for Kimberly to bring her love of theatre and design to her children’s schools — to watch it expand through the community is extremely rewarding! Originally from Philadelphia, Danielle and her family relocated to Rhode Island in 2014. With a lifelong passion for the arts, Danielle made a career shift after nearly 20 years in healthcare advertising, deciding to apply her corporate skills to the non-profit world. 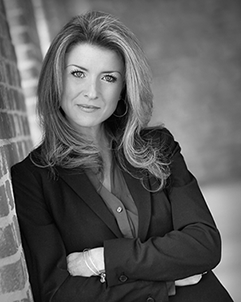 She brings to Arts Alive a wealth of client relationship management, marketing, and project management experience. Prior to accepting the Executive Director role, Danielle served as a Board Member and Board President for Arts Alive. She holds a Bachelor’s Degree in Art History from Dickinson College. Danielle resides in Barrington with her husband, Jim, and their two daughters. Glorimar is extremely proud to have joined Arts Alive last fall as the director of The Little Mermaid Jr. at Sowams School. Glorimar lives in Dighton, MA with her husband Chris and her 19-year-old son, Nathaniel. Originally from Puerto Rico, she’s been living in Massachusetts for the last 27 years. Glorimar received her BA from UMass Boston. She has been involved in children’s theater for the past 13 years. She is the founder/director of Little Folks Theatre, a “Teaching Theater” for children in the Dighton, MA area, performing yearly since 2002. She has directed Charlie and the Chocolate Factory, The Wizard of Oz, Aladdin, A Pirate’s Life for Me!, Alice’s Adventures in Wonderland, The Little Mermaid, The Jungle Book, The Legend of Sleepy Hollow, Wagon Wheels West, The Hunchback of Notre Dame, Monster Bash, The Poison Apple, Haunting on Oliver St. and Cinderella among others. Glorimar also instructs and develops drama classes and workshops, directs for the Beckwith Middle School in Rehoboth, MA, teaches Preschool at Dighton Nursery School and runs the Reader’s Theater Program at Dighton Elementary School. A Barrington native, Molly began working with Arts Alive! in 2012 on her high school senior project on the production of Peter Pan at Nayatt School. Since then, she has worked at Arts Alive! Summer Theatre Program starting as a counselor, and is now is the co-director of the summer program. In 2016 she began working as a teaching artist for the Arts Alive! school programs and has been involved with the productions of Aladdin KIDS, Mulan Jr, Alice in Wonderland Jr, Annie KIDS, Cinderella KIDS, and Beauty & the Beast Jr. Molly is proud to continue to be part of the Arts Alive! staff for the 2018-19 season. Molly is a graduate of Keene State College, earning degrees in Acting (BA) and Elementary Education (BS). While at Keene State College, Molly acted in multiple plays, was the Costume Head for the department musicals, was president of the colleges improvisational comedy team, and was a member of the Theatre and Dance Honor Society, Alpha Psi Omega. Molly also spent six months studying acting in London, England at Goldsmiths, University of London. 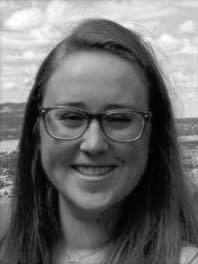 Jennifer Tilley is a Rhode Island native, currently working as a dance educator with various local organizations, including Arts Alive! and Chance to Dance. She has been dancing since the age of three and has received training in all areas of dance, including ballet, tap, jazz, modern, lyrical, hip hop, and ballroom. She grew up performing in showcases and competitions, where she earned many honors and awards. 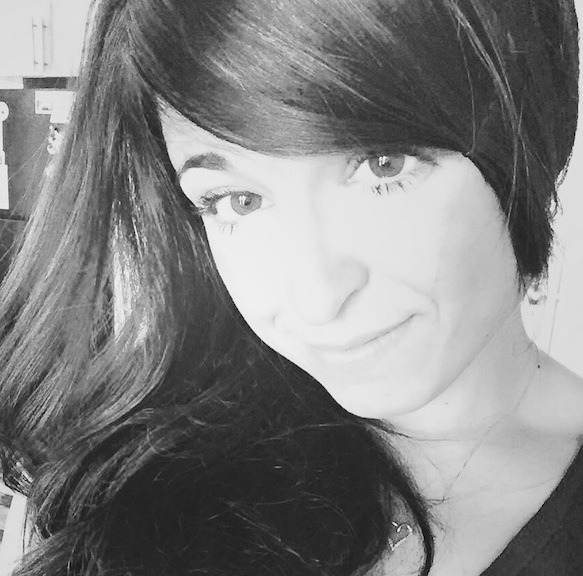 Jen is a veteran dance instructor with experience teaching all ages at schools and studios across the state, including the Portsmouth Abbey School, Rocky Hill School, St. Philomena’s School, Just Dance!, and Twinkles Toes Dance Studio. In 2014, she was a dance artist in residence at Trinity Academy for the Performing Arts. She has worked with Arts Alive! on productions including Aristocats, Seussical, Jr., 101 Dalmations, The Jungle Book, The Lion King, Peter Pan, Aladdin, Willy Wonka, Mulan, Suessical KIDS, Cinderella KIDS, and The Wizard of Oz. This season, Jen will be on the creative staff for the school productions for Nayatt School, Sowams School and Hugh Cole Elementary. Jen is passionate about her craft and is fortunate to share it with young performers. Kimberly is a graduate of Johnson and Wales University. She has been involved with theatre production throughout high school and college. Kimberly loves teaching children and most of all enjoys watching them Blossom into talented professional performers! Originally from New York, Kimberly brings with her a lifelong passion for theatre arts. She has partnered with Arts Alive for over five years on productions such as All the Worlds a Stage, The Aristocats KIDS, Suessical Jr., The Jungle Book KIDS, The Little Mermaid Jr., The Lion King Jr., Alice in Wonderland Jr., Mulan Jr., The Wizard of Oz, and Beauty & the Beast Jr. In recent years, she worked on Woody Allen’s Irrational Man and the Oscar–nominated films The Town and American Hustle. Most recently, Kimberly worked on the film, November Criminals as well as the horror film, The Purge. Kimberly is also a former tap dancing teacher! In 2009, Kimberly joined forces with Dena Davis and co-directed The Wizard of Oz at Nayatt School, which eventually led to the founding of Arts Alive!. This partnership has blossomed over the productions of Willy Wonka, Kids, Peter Pan, Bugsy Malone, Jr., Aladdin, Broadway Rules, Pinocchio, High School Musical, Jr., The Aristocats, Kids, The Wizard of Oz, Into the Woods, Jr., Seussical, Jr., 101 Dalmatians, Little Mermaid and Shrek. It has always been a dream for Kimberly to bring her love of theatre and design to her children’s schools — to watch it expand through the community is extremely rewarding! Glorimar received her BA from UMass Boston. She has been involved in children’s theater for the past 12 years. She is the founder/director of Little Folks Theatre, a “Teaching Theater” for children in the Dighton, MA area, performing yearly since 2002. She has directed Charlie and the Chocolate Factory, The Wizard of Oz, Aladdin, A Pirate’s Life for Me!, Alice’s Adventures in Wonderland, The Little Mermaid, The Jungle Book, The Legend of Sleepy Hallow, Wagon Wheels West, The Hunchback of Notre Dame, Monster Bash, The Poison Apple, Haunting on Oliver St. and Cinderella among others. Glorimar also instructs and develops drama classes and workshops, directs for the Beckwith Middle School in Rehoboth, MA, teaches Preschool at Dighton Nursery School and runs the Reader’s Theater Program at Dighton Elementary School. 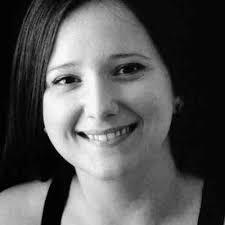 Jenna Tremblay is a seasoned artist and theatre professional with over a decade of industry experience. Her focus is aimed at bringing the Performing Arts experience to children at a young age where children gain practical experience in voice, singing, acting, dance, stage movement and team work. An accomplished performer herself, Ms. Tremblay graduated from Rhode Island College in 2006 with a degree in Musical Theatre and currently lives in New Bedford, MA. 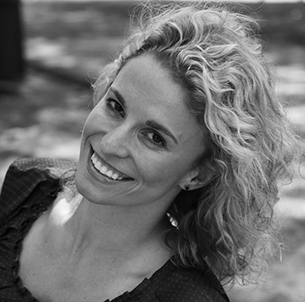 She is presently the Director of Drama at Barrington Christian Academy, Resident Choreographer at Pilgrim High School in Warwick, and a performer with Ten31 Productions in Rhode Island. She studied dance in New York City at Luigi’s Jazz Centre at Ballet Maestro and Broadway Dance Center and had the opportunity to work with many accomplished Broadway dancers. She then decided to put down her roots in Connecticut for 8 years where she worked at Long Wharf Theatre in production, company management, and development. She also was a business executive at The Greater New Haven Chamber of Commerce, managed a yoga studio and was a musical theatre teacher at Achievement First Elm City High School. Jenna was also a counselor of the Rhode Island College Summer Performing Arts Camp for 9 years. Ms. Tremblay has performed in dozens of productions both locally and nationwide. 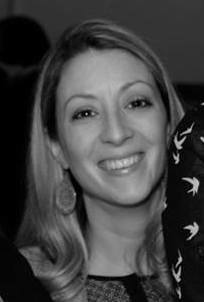 Her most recent projects include Director, A Connecticut Yankee, Director, Barrington Christian Academy, May, 2016, Choreographer, The Lion King, Hampden Meadows School, May 2016, Assistant Director, Shrek, Barrington Middle School, March 2016, Artistic Advisor, The Curious Savage, Barrington Christian Academy, February 2016, Director, 101 Dalmatians, Primrose Hill School, January 2016, Choreographer, The Drowsy Chaperone, Pilgrim High School, November 2015. Jenna will also be directing the 2017 Nayatt School production.